Here's hoping that 2011 brings you new adventures and takes you to spectacular places (past and present). Happy New Year from the Legal History Blog. I'm still buried in cite-checking and laboriously reacquainting myself with the new edition of the Chicago Manual of Style, but before the month and year end and my blogging privileges expire, I want to share some last thoughts about my forthcoming book and another project with which I'm connected. Working on the history of antisemitic defamation drew me into the world of Jewish civil rights lawyers of the early 20th century. The central figures in the drama of Henry Ford and the Dearborn Independent, were Aaron Sapiro, the lawyer who sued Ford in 1925, and Louis Marshall, the lawyer who wrote Ford's apology for him in 1927 and thereby secured Ford's face-saving exit from the litigation. As I have come to understand the events of the trial and the negotiations that transpired after the declaration of a mistrial in April 1927, deep divisions among American Jews about whether or how to use law to address antisemitism percolated into the resolution of the Sapiro-Ford case. Personified by Marshall, who represented the very pinnacle of American-German Jewish acculturation and socio-economic upward mobility, the more established approach was to discourage overt confrontation in favor of discrete negotiation and more subtle corrective measures, including the use of "dynamic silence" in the face of antisemitic hate speech. Aaron Sapiro's decision to bring Henry Ford before the law and force him to assume legal responsibility for the harm his newspaper inflicted on the individuals it libeled was courageous. It also flew in the face of the long-standing strategy of the national Jewish self-defense organizations (Marshall was the president of the American Jewish Committee, itself an embodiment of Jewish social status and wealth). Marshall's actions in assisting Ford have never been subjected to historical scrutiny, much less searching criticism, and in identifying the ethical grey areas of Marshall's situation, I have already incurred the indignation of those who believe he acted impeccably. An entire issue of American Jewish History (2008) contains articles from a symposium held on the occasion of the 150th anniversary of Marshall's birth, and most of them disagree, rather stridently, with my 2004 JAH piece, in which I first laid out my take on Marshall's role in the Ford case. I'm excited to see more of Willy's work on this project. He covers so many of the big names; I was pleased to see so many I recognized. And it is difficult--but so much fun--to combine legal history and biography in this way. He does it beautifully, effortlessly weaving together the intellectual and the actual. Makes it look easy. As I pointed out to Willy in a comment, however, I found it curious that his vast catalog of Jewish lawyers did not include Marshall. Except for Louis Brandeis, Marshall is the most important Jewish lawyer of the 20th century. He argued more cases before the Supreme Court during his day than any other lawyer, Jewish or not, and his position as AJC president kept him close to every presidential administration from Taft to Hoover. Marshall was a classic 19th century economic conservative--no progressive like Brandeis--but on civil rights he charted a liberal path. True, his civil rights jurisprudence was couched in the assumptions of property and economic equality, but he did argue and win Nixon v. Herndon (1927), the Texas white primary case, and Pierce v. Society of Sisters (1925) in which the Court struck down a state law discriminating against parochial schools. He's also famously responsible for the case permitting ticket scalpers to impose surcharges free of state-imposed limits (Tyson Bros. v. Bantam ), a victory of which he was extremely proud. Scholars have not begun to make sense of Marshall's career or to untangle the threads of his jurisprudential thought. What little biographical literature exists is entirely hagiography. So one of the consequences of the appearance of Henry Ford's War, I hope, will be a more robust awareness of Marshall's impact on early 20th century law. I'm not arguing that he is as significant as Brandeis or Cardozo, but he's at least as relevant--and interesting--as any of the guys Willy discusses. And I'm still waiting to hear why Willy left him out. Speaking of symposia, papers from the 2006 "Jews and the Law Conference" held at Cardozo Law School, organized by Suzanne Last Stone and Marc Galanter, will finally be published in 2011 by Quid Pro Books, an electronic and text publisher of books based out of Tulane Law School and founded by my Berkeley grad school colleague Alan Childress, who teaches at Tulane. Alan specializes in making available out-of-print classic and recent publications, both in hard copy and in e-formats for all platforms. Shameless plug: I'm co-editing the JATL volume and contributing a paper (on Marshall) and as it so happened during my book research, Quid Pro's reprint of Jerold Auerbach's Rabbis and Lawyers: From Torah to Constitution, originally published by Indiana University Press in 1994. I actually like Rabbis and Lawyers and thought my research supported his argument (there's a bit of a showdown between a Detroit rabbi and Marshall in 1920 that Marshall wins, decidedly; and the rabbis' organizations are less of a force in standing up to Ford than the AJC). But the book met mixed reviews when it was first published and dropped off the radar fairly quickly. Any thoughts about that book? Have a look at the Quid Pro catalog and see if there's anything you need to have for quick reference on your Kindle. I like Holmes' The Common Law, among other idiosyncratic picks. Happy New Year, everyone. It's been a fun time blogging, although truthfully I thought when I agreed to a December assignment that this would be far less busy than it turned out to be. Shout-out to Karl Shoemaker for helping me with my civ pro/evidence problem. The answer was Wigmore. When in doubt . . . Since the 1970s critics have decried the expansion of intellectual property rights, while supporters of copyright and patent reform have argued that the protection of “information” is vital for the U.S. economy. Alex S. Cummings explores the reasons for this tension, showing how struggles over music piracy paved the way for stronger regulation of intellectual property. Lawmakers in the Progressive Era denied copyright protection for sound recordings, leaving pirates to challenge American sensibilities about monopoly, music, and the public interest. Through legal and legislative battles, a new conception gradually emerged of copyright as a safeguard for capital investment rather than an incentive for artist creation, buttressing claims about the economic needs of an “information society” in the late twentieth century. You can find the rest in the December 2010 issue of the Journal of American History (pp. 659-81). The next annual meeting of the Organization of American Historians will be in Houston, from March 17 to March 20, 2011. A heads up for those planning on attending: "early bird" registration ends tomorrow, December 31. The 2011 OAH Annual Meeting program covers the full chronological sweep of the American past, from pre-Columbian years to the twenty-first century, and the rich thematic diversity that has come to characterize contemporary American history writing and teaching. The program includes sessions for all practitioners of history, including those employed at universities, colleges, community colleges and secondary schools, public history institutions, and independent scholars. Sessions dealing with hot topics in the history profession, including “History Wars: The Texas Textbook Controversy"
Continue checking the program website for updates. invites you to a Book Discussion on The Age of Fracture with author Daniel T. Rodgers, Charles Lea Professor of History, Princeton University, and commentators John Judis, Senior Editor, The New Republic, and Michael Kimmage Associate Professor of History, Catholic University. The Age of Fracture offers a powerful reinterpretation of the ways in which the decades surrounding the 1980s changed America. Rodgers traces the evolution of earlier notions of history and society that stressed solidity, collective institutions, and social circumstances toward a more individualized conception of humanity that emphasizes choice, agency, performance, and desire. On a broad canvas that includes Michel Foucault, Ronald Reagan, Judith Butler, Charles Murray, Jeffrey Sachs, and many more, Rodgers explains how structures of power came to seem less important than market choice and fluid selves. Wednesday, January 12, 2010, 3:00pm - 4:30 p.m. Reception to Follow. Fifth Floor Conference Room, Woodrow Wilson Center, 1300 Pennsylvania Avenue N.W., Washington, D.C. This is a free public event, but RSVPs are requested. Please respond with acceptances only to usstudies@wilsoncenter.org. The December 2010 issue of the Journal of American History is out, and the Book Reviews section covers a number of legal histories. We like to provide links to full content, but the JAH is not open access. 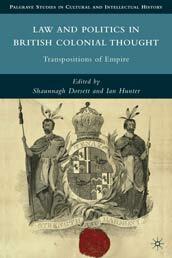 Subscribers can read the reviews online at the JAH website or at History Cooperative. Each year the Green Bag's "special Board of Advisers on good legal writing, which"--the editor tells me--"includes distinguished members from the state and federal judiciaries, private law firms, the news media, academia, and elsewhere," compiles an annual list of outstanding legal writing from the past year, to be published in the forthcoming Green Bag Almanac & Reader 2011. In the year 1000, the economy of the Middle East was at least as advanced as that of Europe. But by 1800, the region had fallen dramatically behind--in living standards, technology, and economic institutions. In short, the Middle East had failed to modernize economically as the West surged ahead. What caused this long divergence? And why does the Middle East remain drastically underdeveloped compared to the West? In The Long Divergence, one of the world's leading experts on Islamic economic institutions and the economy of the Middle East provides a new answer to these long-debated questions. Timur Kuran argues that what slowed the economic development of the Middle East was not colonialism or geography, still less Muslim attitudes or some incompatibility between Islam and capitalism. Rather, starting around the tenth century, Islamic legal institutions, which had benefitted the Middle Eastern economy in the early centuries of Islam, began to act as a drag on development by slowing or blocking the emergence of central features of modern economic life--including private capital accumulation, corporations, large-scale production, and impersonal exchange. By the nineteenth century, modern economic institutions began to be transplanted to the Middle East, but its economy has not caught up. And there is no quick fix today. Low trust, rampant corruption, and weak civil societies--all characteristic of the region's economies today and all legacies of its economic history--will take generations to overcome. You can access the TOC and first chapter here. Part I describes the modern filibuster. Although the filibuster is often discussed in terms of "unlimited debate," this Part argues that its current operation is best understood in terms of a 60-vote requirement to pass most bills and other measures through the Senate. Part II presents a relatively straightforward structural argument that this supermajority requirement for most Senate business is unconstitutional. This Part argues that the words "passed" in Article I's description of the legislative process; "determine" in the Rules of Proceedings Clause; and "consent" in the Appointments Clause must be understood to contain an implicit premise that a determined and focused legislative majority must be able to get its way in a reasonable amount of time. Or, to put it differently, the Constitution cannot countenance permanent minority obstruction in a house of Congress. Part III responds to the most prominent counterarguments. First, it rejects the counterargument from plenary cameral rule-making authority, arguing that rules made pursuant to this authority still cannot run afoul of the structural principle described in Part II. Second, it rejects the counterargument based on historical pedigree. Surveying the history of the House of Commons, the House of Representatives, and the Senate, it finds no longstanding tradition in Anglo-American legislatures of indefinite minority obstruction. And third, it rejects the counterargument that legislative entrenchment is unproblematic. Finally, Part IV suggests choreography for eliminating the filibuster. It begins by noting that this is not a matter for Article III courts; the arguments here are - and must be - addressed to constitutionally conscientious Senators. It then suggests that the filibuster need not be eliminated at the beginning of a new Congress; if the filibuster is unconstitutional, then the presiding officer may so rule at any time, and the Senate may uphold that ruling by simple majority. Finally, it notes that the filibuster need not be replaced with a simple majority cloture rule, and it suggests potential alternatives. The sponsors explain that "an email message returned to appleby@history.ucla.edu will affirm your support, and your name, with affiliation, will be added to the petition which we intend to present to a group of senators when the new congress convenes in January." O'Neill reviews Murphy, "American Slavery, Irish Freedom"
From H-CivWar, we have this review of Angela F. Murphy, American Slavery, Irish Freedom: Abolition, Immigrant Citizenship, and the Transatlantic Movement for Irish Repeal (Baton Rouge: Louisiana State University Press, 2010). Reviewer Peter D. O'Neill (University of Southern California), calls the book "[w]ell written and impressively researched," and expects it will "be of significant value to scholars of nineteenth-century transatlantic social movements, as well as to those interested in racial formation in the United States." Ever since the 1790 immigration laws defined citizenship as being the prerogative of “free white persons,” notions of American citizenship and American nationality have contradicted each other regularly. While the legal apparatus defines the parameters of citizenship, nationality is defined through various cultural, ideological, and political discourses that compete within the U.S. cultural imaginary. Representing the psychic and social dimensions of citizenship, “nationality,” writes Robert G. Lee, “contains and manages the contradictions of the hierarchies and inequalities of a social formation.” Unlike citizenship, which is fixed within the state, nationality is an unstable and contested concept. The difference between these two notions mirrors the difference between race and ethnicity in nineteenth-century America. Nowhere is the contradictory relationship between citizenship and nationality clearer than during the intricate pas de deux performed by the Irish repeal and American abolition movements in the United States during the 1840s. Angela F. Murphy’s timely book, American Slavery, Irish Freedom, presents the first in-depth treatment of this transnational ballet. While the work is not specifically aimed at exposing the differences between citizenship and nationality, it does so with admirable clarity. The first comprehensive collection of legal history documents from the Civil War and Reconstruction, this volume shows the profound legal changes that occurred during the Civil War era and highlights how law, society, and politics inextricably mixed and set American legal development on particular paths that were not predetermined. Editor Christian G. Samito has carefully selected excerpts from legislation, public and legislative debates, court cases, investigations of white supremacist violence in the South, and rare court-martial records, added his expert analysis, and illustrated the selections with telling period artwork to create an outstanding resource that demonstrates the rich and important legal history of the era. Paul Halliday's sweeping, scrupulously researched Habeas Corpus: From England to Empire examines the capacities and contradictions of this remarkable legal device. A historian at the University of Virginia and an occasional contributor to amicus briefs in noteworthy habeas cases, Halliday dismisses conventional paeans to the writ. Focusing less on landmark decisions than on thousands of quotidian cases from the sixteenth to the eighteenth century, recorded on parchment and bound with leather thongs, he pieces together an ambivalent story with unexpected origins. Rather than heralding habeas corpus as a "palladium of liberty," he shows how, over the course of centuries, habeas has extended state power as well as constricted it, facilitated empire as well as regulated its reach, and how, in periods of crisis and demagoguery, princes and parliamentarians have muffled the "sighs of prisoners" despite the venerable writ's promise to hear them. More on the Founders, as Joseph J. Ellis discusses three new books in the New York Review of Books (subscription required): Adams Family Correspondence, Volume 9: January 1790–December 1793 , edited by Margaret A. Hogan, C. James Taylor, Karen N. Barzilay, Hobson Woodward, Mary T. Claffey, Robert F. Karachuck, Sara B. Sikes, and Gregg L. Lint; The Quotable Abigail Adams edited by John P. Kaminski; and Abigail Adams by Woody Holton. In the book that I'm scrambling to finish (yes, I'm cite-checking on Christmas Day), I'm writing about a federal libel trial, litigated in 1927 in Detroit's district court. In this trial the plaintiff in the suit called a number of witnesses who were employees of the defendant, Henry Ford, and his newspaper. Naturally, these witnesses were hostile to the plaintiff, and the plaintiff's attorney approached them as such. In fact, what the plaintiff's lawyer wanted to do was to impeach their testimony. From what I can divine from the trial transcript and the newspaper coverage, the only way the plaintiff's attorney could proceed to impeach his own witnesses was if defense counsel cooperated and agreed to cross examine the opposition's witnesses. The defense lawyers easily defeated this strategy by declining to cross examine their client's employees. What this meant, the press speculated, was that the plaintiff could not subject Henry Ford to rough treatment on the stand when Ford was called to testify as a plaintiff's witness. Ford had, in fact, been served with a subpoena, although his representatives denied for months that he had received the document. My question is, where would I go to find a source for the federal rule of civil procedure that governed this situation? All I have is the remarks of counsel and the commentary by the press. Is that sufficient? I admit that I can't imagine the field of FRCP history as being terribly populated, but I'm happy to be surprised. It's a bit bleak for the holidays, but over at the Faculty Lounge, Al Brophy (UNC Chapel Hill) has posted some interesting ruminations on constitutional ideas in cemetery dedication addresses. The accompanying images are a treat. The editors of The Browser ask experts to recommend five "must read" books in their subject area. They recently tapped Molly Greene (Princeton University) for a reading list on "Chaos in the 17th-Century Mediterranean." Her picks help explain how, in that unique time and place, "it was possible to have 'order without law.'" In an op-ed in the UK's Guardian newspaper, Eric Foner (Columbia University) makes the case that the American Civil War is still being fought. More remembrances of the great Morris Cohen are here and here. The Yale Law School Lillian Goldman Law Library has set up a tribute page here. Winners Legal History: The Coffee Mug. A recent post on Dallas Blog on gifts for lawyers included not only the Green Bag's bobbleheads but also a coffee mug "with a unique feature: pour a hot beverage in, and the loser's names [in the landmark decisions adorning its exterior] disappear, leaving only the winners of these famous Supreme Court cases." We wish you, your family, and your four-legged friends a very happy holiday. The imperial government had the ability to disallow New Zealand colonial ordinances that were "repugnant to the laws of England." "Repugnancy" did not operate as a clear legal criterion; the British government could take into account a range of political factors. Instructions to governors were sometimes used to avoid potential legal questions about the impact of disallowance. 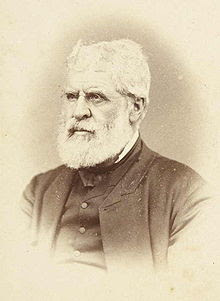 Henry Samuel Chapman's judgment in Lloyd's case (1844) provides a basis for exploring the legal, administrative and political practices surrounding the disallowance of colonial laws. Judges' and officials' views on how disallowance took effect show the interaction between political authority, political communication, and legal institutions in a Crown Colony. 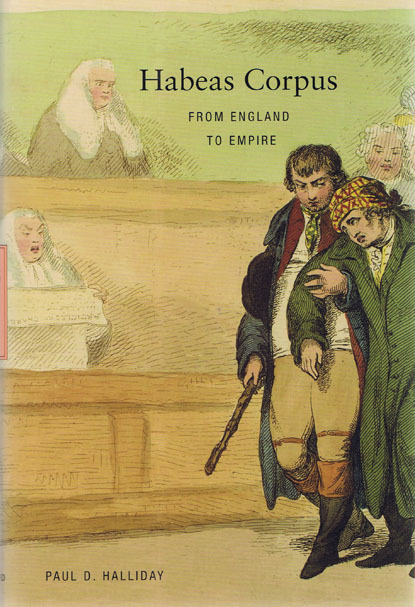 Lloyd's case, and Chapman's extra-judicial writing about repugnancy, help illustrate changing colonial views of the British imperial constitution across the mid-nineteenth century. In the 1830s and 1840s proposals to allow indigenous testimony were part of broader disputes about the shape of colonial government and attempts to use courts to “civilize” indigenous peoples. In 1840, the English law officers concluded that any potential witness in a common law court had to perceive future moral or religious consequences of giving false testimony. Where an appropriate oath or other ceremony related to this belief could be identified, the witness might be sworn. If not, the witness lacked the legal capacity to give evidence. The law officers considered these rules to be fundamental elements of "British jurisprudence" which colonial legislatures could not amend. On this basis, a New South Wales ordinance allowing “unsworn” Aboriginal testimony was disallowed. In 1843, however, the imperial Parliament authorized colonial legislatures to pass their own ordinances on unsworn indigenous testimony. South Australia and New Zealand passed legislation allowing indigenous testimony as part of assimilationist policies, but the significance of ordinances in each colony was markedly different. The shifting political significance of the admissibility of indigenous testimony across time and place suggests the importance of considering particular institutional configurations of colonial law and government. Indigenous testimony points to the importance of legislation to colonial legal systems and to the significance of the administration of law in creating patterns of colonial government. “The Corporate Economy: Ideologies of Regulation and Antitrust, 1926-2000” in 3 Cambridge History of Law in America: The Twentieth Century and After (1920-) 613 (Christopher Tomlins and Michael Grossberg, eds.) (Cambridge University Press, 2008). This month's issue of Cabinet (a quarterly magazine of art and culture) features an interview with Christina Duffy Burnett (Columbia University Law School) on "Islands and the Law." Thus Justice Stephen Breyer, speaking for the dissenters in Heller, in an interview on Fox, as discussed in an op-ed in the New York Times by Pauline Maier, MIT, who demurs. This Research Handbook is a comprehensive overview of the field of comparative administrative law. 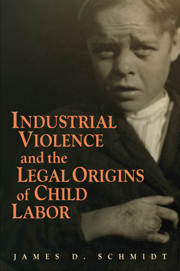 The specially commissioned chapters in this landmark volume represent a broad, multi-method approach combining perspectives from history and social science with more strictly legal analyses. Comparisons of the United States, continental Europe, and the British Commonwealth are complemented by contributions that focus on Latin America, Africa, and Asia. The work aims to stimulate comparative research on public law, reaching across countries and scholarly disciplines. Beginning with historical reflections on the emergence of administrative law over the last two centuries, the volume then turns to the relationship of administrative and constitutional law, with an additional section focusing on the key issue of administrative independence. Two further sections highlight the possible tensions between impartial expertise and public accountability, drawing insights from economics and political science as well as law. The final section considers the changing boundaries of the administrative state - both the public-private distinction and the links between domestic and transnational regulatory bodies such as the European Union. In covering this broad range of topics, the book illuminates a core concern of administrative law: the way individuals and organizations across different systems test and challenge the legitimacy of public authority. 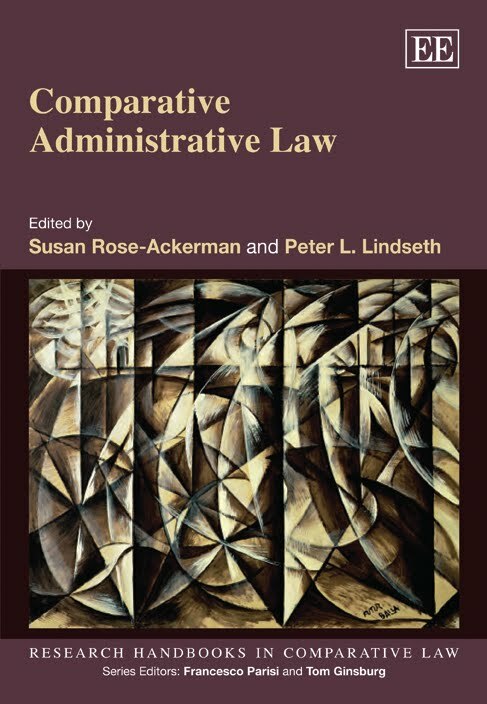 This extensive, interdisciplinary appraisal of the field will prove a vital resource for scholars and students of administrative and comparative law. Historians of the state looking for a broad overview of a key area of public law, reformers in emerging economies, donor agencies looking for governance options, and policy analysts with an interest in the law/policy interface will find this work a valuable addition to their library. Others are historical as well, notably Thomas W. Merrill's "The Origins of American-Style Judicial Review," which I take to be the definitive version of an excellent paper, which develops an insight Roscoe Pound had (see, for example, Justice According to Law (1951), 73-74), that initially American courts analogized administrative agencies to courts "having no . . . record and not proceeding according to the course of the common law," so that "every fact necessary to the administrative determination might have to be shown de novo." Only gradually, Pound wrote, did "the good sense of American courts liberalize this situation" and a standard more like that of an appellate court reviewing a trial court of record emerged. Just now, the volume is available only in hardback, at the very stiff price of $295. A paperback edition is due out in September. Update: Rose-Ackerman and Lindseth have since posted the TOC and their introduction to the volume here. The mythic power of western land has long dominated narratives of American history. Lisi Krall seeks to challenge this myth, untangling the narratives into their component parts of philosophy, economic systems, political decision making, and spiritual awe. Her slim volume, Proving Up: Domesticating Land in U.S. History, successfully argues that the frontier myth was constructed foremost from a capitalist imperative superimposed on material circumstances. The book has two starting points, one anecdotal, one philosophical. The anecdote concerns the author’s paternal grandfather, a homesteader in southwestern Wyoming, who was shot by his neighbor in 1920 in a dispute over water rights. 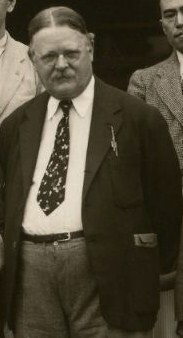 Krall’s grandfather, according to the federal government’s homesteading regulations, was required to dig canals to irrigate his dry land in an impossibly short period of time. In the short term, he did what he needed to do for survival, and thus impinged on the water rights of his neighbor. The grandfather’s downfall illustrates what the author explains to be the mismatch of nineteenth-century agricultural homesteading expectations with an arid landscape more suitable for ranching. Krall presents this episode with her grandfather as a consequence of what happened when the “agrarian ethos” shaped federal land policy. Thus, she introduces the main focus of Proving Up: to trace the origins and tenacity of the “agrarian ethos,” how it evolved in tandem with market capitalism, how it came to shape federal land policies, and, more broadly, the relationship of Americans to land over more than two hundred years. The philosophical roots of this ethos lies, Krall argues, in John Locke’s understanding of property and Thomas Jefferson’s view of the human relationship with land. Locke’s view that property status devolved on those who made use of the land supported Jefferson’s agrarian ideal and an understanding of property rights in the new republic. 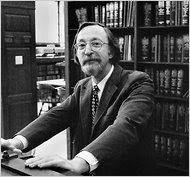 Morris L. Cohen, a major force in American law libraries in the twentieth century, died this weekend. He was 83. 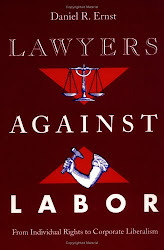 Since 1991, Cohen has been Professor Emeritus of Law and Professorial Lecturer in Law at Yale Law School. He served as Professor of Law and Director of Yale Law School's Lillian Goldman Law Library from 1981 to 1991, after having served from 1971 to 1981 as the Librarian of the Harvard Law School Library. He was also the director of both the Penn and SUNY - Buffalo law libraries. He served as president of the American Association of Law Libraries from 1970 to 1971. He published a number of significant research and bibliographic works, including Bibliography of Early American Law. Links to info about Cohen's multi-volume Bibliography of Early American Law are here and here. Harvard Law School offers the Morris L. Cohen Fellowship in American Legal Bibliography and History. Update: The Yale Law Library's obituary is here. The New York Times's obituary--hat tip to Shag--is here, and appears with the terrific portrait at left. Reviews in History has posted a review of Maria Ågren, Domestic Secrets: Women and Property in Sweden, 1600-1857 (Chapel Hill: University of North Carolina Press, 2009). Margot Finn (University of Warwick) describes the book as "a masterly analysis of women’s changing relations to property in Sweden from the early 17th to the mid 19th century" and "a major contribution to women’s, legal and social history." 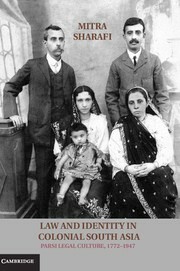 Beginning with a carefully crafted historiographical and methodological overview, the book successively considers topics that include the competing claims to land rights made by women, marital couples, kin groups, local peasant communities and the state; the evolution of compensatory practices in the face of a deterioration of land rights driven by proletarianisation; bankruptcy legislation and the emergence of a public sphere; and radical legal reforms by the Swedish state that culminated in the abolition of distinctions between lineage and non-lineage property in land. Clearly written and logically organised, Domestic Secrets focuses upon developments within Sweden, but situates these trends within wider comparative European (including British) frameworks that extend the significance of this book’s conclusions far beyond Scandinavian borders. A major intervention in women’s legal history, Ågren’s study asks fundamental questions about the structural, social and discursive practices that have shaped European women’s access to landed property over time, and offers a series of intriguing answers to those questions, based on a wealth of original research in archival and printed primary sources. All that has now changed with Pauline Maier’s much-awaited study of ratification, a book that finally enlarges and completes our understanding of how Americans adopted the Constitution. Along the way, " Maier is not merely a careful student of these remarkable debates. She brings alive the participants as well." And "Maier’s account of what was actually said" during ratification debates "explains why latter-day originalists like Justices Antonin Scalia and Clarence Thomas, who treat the final text of the ratified document as sacrosanct, reveal so little serious or sustained interest in the actual debates that adopted the Constitution." Ultimately, in illustrating a remarkable moment in American politics, Maier "makes clear why this episode merits the brilliant treatment it has finally received." In other book news, this seems to be the week for the founders and their friends. MADISON AND JEFFERSON by Andrew Burstein and Nancy Isenberg is taken up in the Washington Post, and THE WOMEN JEFFERSON LOVED by Virginia Scharff is reviewed in the New York Times. And finally -- not legal history at all, but I found of interest Robert Boyer's review in The Book (The New Republic) of What Ever Happened To Modernism? by Gabriel Josipovici. The Center for Law, Society, and Culture at the Indiana University Maurer School of Law—Bloomington will appoint up to three Jerome Hall Postdoctoral Fellows for the 2011-2012 academic year. We invite applications from pre-tenure scholars, recently awarded PhDs, and those with equivalent professional degrees to conduct research at Indiana University and participate in the activities of the Center, which include an annual symposium, a colloquia series, and regular workshop series. Scholars of law, the humanities, or social sciences working in the field of sociolegal studies are encouraged to apply. Advanced graduate students may also apply, but evidence of completion of the doctoral degree or its equivalent is required before beginning the fellowship. The Center encourages applications from scholars focusing on global or transnational law and society research projects. Fellows will devote a full academic year to research and writing in furtherance of a major scholarly project. The stipend will be $25,000 plus a research allowance, health insurance, other benefits, and workspace at the Maurer School of Law. Fellows are expected to be in full-time residence in Bloomington in order to take advantage of the rich intellectual life of the Center, the Maurer School of Law, and Indiana University. Completed applications must be received by Jan. 3, 2011, in order to ensure full consideration. The award will be announced in mid March 2011. The Chicago-Kent Institute for Law and the Humanities and the Chicago-Kent Law Review are sponsoring a conference on the history of women, gender, and the law. This one day conference will take place on October 14, 2011 at Chicago-Kent College of Law. We are seeking papers which discuss from a historical perspective issues involving women, gender, and the law. Topics can span time periods, geographies, and disciplines. Please submit abstracts to Professor Felice Batlan at fbatlan@kentlaw.edu. Speakers will be requested to contribute a short written piece to the Chicago-Kent Law Review. All speakers will be reimbursed for expenses. The first conference on women’s legal history took place at the University of Akron in 2007 and we hope this conference will be the second in a continuing tradition. "The Lawyer's Weekly" carries a story about the uncertain status of the Sissons/Morrow Carvings, "a remarkable collection of Inuit legal art" whose 27 pieces "including one very important stuffed duck" depict "some of the most important trials in Canadian and Northern legal history." Northern Legal HistoryLeft out in the Cold. What did "regular people" read? Over at The Historical Society, Dan Alloso (Ph.D. candidate, University of Massachusetts, Amherst) points us toward a useful source: Frank Luther Mott's Golden Multitudes: The Story of Best Sellers in the United States (1947). Is Wikileaks bad for historians? Daniel Drezner (Fletcher School of Law and Diplomacy, Tufts University), writing in the Chronicle of Higher Ed, thinks so. The Center for Law, Justice & Culture at Ohio University invites proposals for a workshop, “Race, Gender, and Sexuality in Law and the Development of the American State” to be held May 20 - 21, 2011. This two-day meeting will bring together scholars in politics, history and law to address emerging ideas about race, gender and sexuality in the development of governmental institutions. Work on the intersection of identity and politics began by examining how race, gender, and sexuality inform the political and civic status of citizens. Increasingly, scholars are now demonstrating that race, gender, and sexuality are central to the development of legal and political institutions and their capacity to carry out administrative and regulatory policies. Through the legal rules of marriage, political access, and crime--to name a few--the categories of race, gender, and sexuality become entrenched in formal institutions of the state. Race, gender, and sexuality thus remain available for the establishment, operation, and legitimation of institutions. We welcome proposals from scholars of American political development and related fields to directly explore and question the role of race, gender, and sexuality in institutional development and to further discuss the impact this trend on our scholarship and the disciplines of political science, law and history more broadly. Please submit a proposal of no more than 500 words describing a past or current project that addresses the following questions: How does a focus on identity or identities shift our understanding and interpretation of legal and political development? How does a focus on law and political development change our understandings of identity? What role does race, gender and sexuality play in conceptualizing change or continuity? What mechanisms or processes can we illuminate? What role do political actors play in the relationship between institutions and identity? For the workshop, participants will prepare a draft article- or chapter-length essay either building on work they have already done or from a new research project that they believe can shed light on these issues. Workshop participants will circulate their drafts a few weeks in advance of the workshop. We will ask all to contribute to the discussion at the workshop and respond to the written work of fellow participants in a round-robin system of commenting that we will organize in advance. The workshop is sponsored by a grant from the Law and Social Sciences Division of the National Science Foundation, which will cover the costs of travel, lodging, and meals for participants. Please submit your proposal, along with contact information, to sullivak@ohio.edu by December 22, 2010. This looks spectacular. Not to be confused with another great fellowship in Italy: the Rockefeller Foundation Fellowships at the Bellagio Center. In the Arts, the Study Center welcomes persons doing both creative and scholarly work (such as Art History, Musicology, Film Criticism, and so on). With respect to Dance, Music, and Theater, however, the Center does not have rehearsal studio space for persons wishing to work extensively in performance. Applicants for Fellowships are expected to demonstrate significant achievement in their disciplines, commensurate with their age and experience. In addition, they must submit descriptions of the projects that they intend to pursue in Bogliasco. An approved project is presumed to lead to the completion of an artistic, literary, or scholarly work, followed by publication, performance, exhibition, or other public presentation. Approximately 50 Bogliasco Fellowships are awarded each year. They are scheduled during the two semesters of the traditional academic year. During 2010-2011 the dates are as follows: September 13 to December 17 (fall-winter), and February 9 to May 15 (winter-spring). Fellowships usually have a duration of one month (30-31 days). In some circumstances, half-semester residencies (47 days) may be awarded with special approval of the Bogliasco Foundation Board of Trustees. Application deadlines are as follows: February 1, 2010, for the fall-winter semester beginning in September, 2010, and May 1, 2010, for the winter-spring semester beginning in February, 2011. Here's my beef for today. Before I turn in this manuscript, I am checking every single footnote, every last citation, primary and secondary sources alike. And I am shocked, just shocked, at how many times I can't find the documents I had at my fingertips when I wrote the book. Admittedly, pieces of the prose date back to 2002, but I wrote most of the text in the past 2 years. Eventually, I find most of what I'm looking for. But there's always the odd document or two that simply refuses to surface, forcing a rewrite or other workaround. Here's my real worry: I don't know if I'm being overly fastidious or if this exercise reveals just how poor my technique is. After all, who's to know what would happen if I took a third pass through this thing? Pinpoint accuracy in footnotes matters to the point of obsessiveness, but I'm particularly inspired to get everything right in this book because of the messy state of affairs in the Ford historiography. So maybe I'm just carrying extra baggage here. Comments, reactions, tranquillizer suggestions all welcome. AHA Annual Meeting: "History, Society, and the Sacred"
"History, Society, and the Sacred" is the theme of the next Annual Meeting of the American Historical Association, scheduled to convene January 6-9, 2011, in Boston. More information on registration, programming, and accommodations, is here. Register by December 22 to get the "early bird" rate. P.S. Contact us if you plan to attend and would like to report on a legal history panel! This article is a response to Professor Jed Shugerman’s Economic Crisis and the Rise of Judicial Elections and Judicial Review, HARVARD LAW REVIEW (2010). Professor Shugerman argues that the widespread adoption of judicial elections in the 1850’s and the embrace by the first generation of elected judges of countermajoritaran rationales for judicial review helped to effect a transition from the active, industry-building state of the early nineteenth century to the "laissez-faire constitutionalism" of the Lochner era. This response argues that Professor Shugerman overstates the causal relationship between the elected judiciary’s robust constitutional defense of "vested rights" and the iconic, if unrepresentative, "substantive due process" of the late nineteenth and early twentieth centuries. 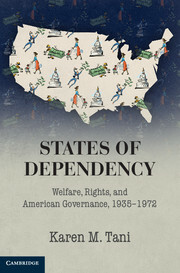 If we are to draw a line of historical causation between the mid-century vested rights decisions and the so-called "laissez-faire constitutionalism" of the Lochner era, it must necessarily run through the watershed historical events of slave emancipation and the industrialization of labor, as well as the transformative constitutional changes set in motion by the Reconstruction amendmnets. To the exent that Lochner-era courts did constitutionalize economic liberty in a manner that warrants the label "laissez-faire constitutionalism," they were inspired less by the "Jacksonian" vested rights jurisprudence that preceded the Civil War than by the constitutional and industrial revolutions that followed it. The 2011 meeting of the American Society for Legal History will be in Atlanta, Georgia, November 10-13, 2011. The ASLH invites proposals on any facet or period of legal history, anywhere in the world. In selecting presenters, the Program Committee will give preference to those who did not present at last year’s meeting. Among the people selected to present, limited financial assistance will be available for those in need—with special priority given to graduate students and post-docs, as well as scholars traveling from abroad. This article is a study of the regulation of the legal profession by the Star Chamber in the late Elizabethan and early Stuart periods. It addresses whether the Court developed a new regulatory regime during the early Stuart era that was used to punish lawyers within the constitutionalist opposition. The article demonstrates that the royalist view of the Star Chamber’s powers that developed during the early Stuart period drew heavily on jurisdictional theory first elaborated by William Lambarde. The article will argue that the Court’s attempts to assert its extraordinary jurisdiction over the legal profession as a whole for the first time during this era were a response to crises that had escalated tensions over the royal prerogative. The article concludes that further studies of the use of the extraordinary jurisdiction of the Star Chamber over the legal profession as a means of repression during the early Stuart era and whether this contributed to the Court’s abolition remain pertinent.